Many folks in the NASCAR garage know that Kurt Busch is a huge fan of the three-time World Series-champion Chicago Cubs. Wrigley Field was built in 1914, when Woodrow Wilson was in his first term as President of the United States. The Cubs began playing there in 1916, replacing the Chi-Feds from the Federal League. There have been renovations and adjustments – the addition of an upper deck in 1928, bleachers in 1937, lights in 1988 and suites in 1989. By the time the Ricketts family purchased the Cubs in 2009, it was time for a massive renovation to the old ballpark, and now, the completion of the historic 1060 project is near, which is intended to maintain the charm of Wrigley, but also upgrade it. Racing began in Richmond in 1946 and, in 1988, officials redesigned the track from a half-mile to a .75-mile. But it has been 30 years, and the infield is due for an upgrade. As part of a $30 million dollar renovation, the infield will be completely rebuilt with new garages, media center, victory lane and other amenities. In 34 NASCAR Cup Series starts at Richmond, Busch owns a pair of victories. The first came in September 2005, when Busch started fifth and led 185 laps en route to the win. 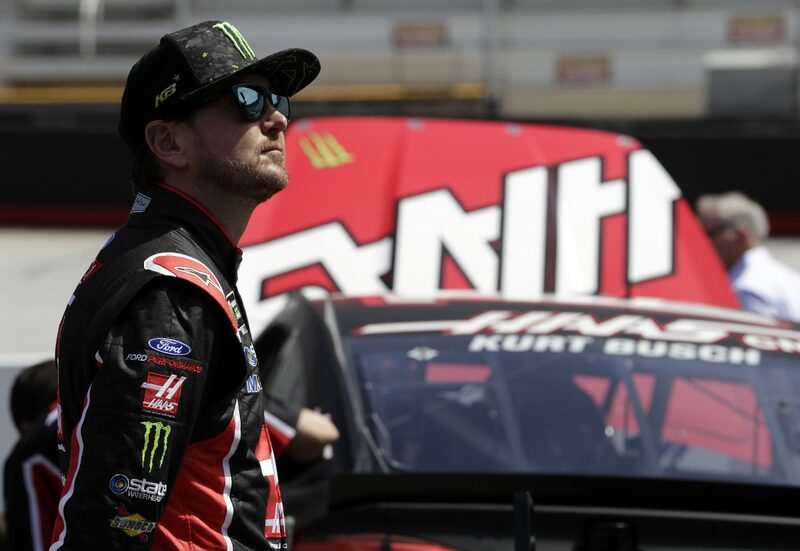 Busch scored his second Richmond victory in April 2015 driving a Stewart-Haas Racing (SHR)-prepared racecar. He turned in a dominating performance, leading six times for a race-high 291 laps and holding off his teammate Kevin Harvick to score his first win of the 2015 NASCAR Cup Series season. In addition to his success in NASCAR’s top touring series, Busch also has a NASCAR Xfinity Series win at Richmond, scoring the victory in April 2012. Busch is hoping to take the No. 41 Haas Automation/Monster Energy Ford Fusion for SHR to victory lane for a third time at Richmond in the Cup Series. That would be a nice “upgrade” for Busch. “It’ll be great. Every track that redoes the garage area – places like Daytona and Vegas – they seem to make it very fan friendly. The way our atmosphere around our races has changed, everyone wants to be in the pits and, yet, you don’t want too congested of a workspace and so, to create the viewing areas and the different platforms and different places to get food and drink, it’s great for our fans to be near our workspace.